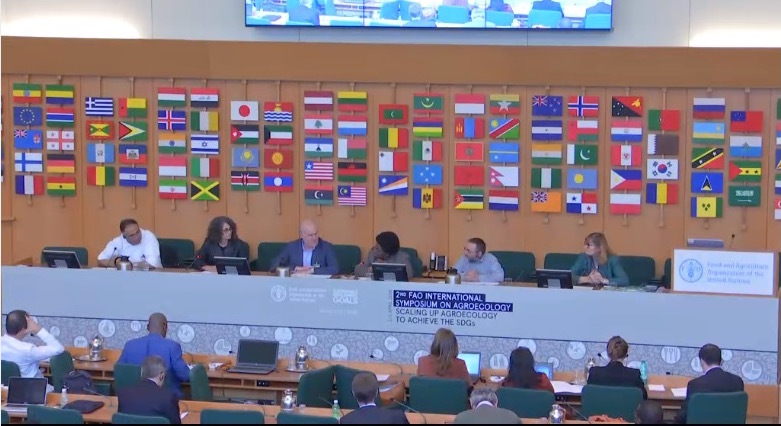 On the occasion of the 2nd International Symposium on Agroecology (3-5 April 2018, Rome) Hervé Petit of VSF International participated to a panel session on Agroecology, Health and Nutrition, explaining how Agroecology and One Health go hand-in-hand. The concept of agroecology is not new. Many evidence and studies have proven that agroecology is successful to address climate change and the interconnected challenges facing food security and nutrition. Especially when it comes to smallholders, it is clear that agroecology is the only suitable way to enhance productivity. Many successful examples have been identified and documented. “Now it is time to scale-up agroecology, and for this we need supportive public policies” recalled Hervé Petit during the panel discussion. Hervé explained: “with the VSF International network, we work every day with small farmers, small-scale livestock keepers and pastoralists in in over 30 countries worldwide. We notice that these farmers have traditional practices, which are extremely interesting, and which have been evolving over the centuries. Time retains only the best adapted practices, the ones that allow people to survive best. And only by building up on these practices we can improve the production, improve food security and promote food sovereignty”. As a set of techniques, agroecology allows to take into account traditional practices and to value them. 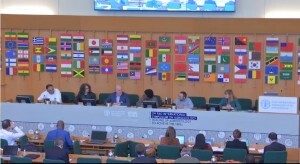 However, agroecology is much more than a set of techniques: it is a real social movement, with strong cultural and political dimensions. On the same line, the One Health concept is not only about diseases. It is much wider than that, as it includes also environmental and socio-economic welfare and their close inter-linkages. VSF realized that the concept of One Health is not enough alone. In order to be practically implemented on the ground it needs to be combined with agroecology and to integrate local and traditional knowledge, experiences and practices developed over centuries by rural communities in accordance with their specific environment. On the other side, thanks to the One Health concept, agroecology can adopt a holistic approach that takes into account the inter-relationship between humans, animals, and the environment. As Hervé concluded: “In livestock farming, if you want to improve production, you need better health of the animals and positive synergies between livestock and their surrounding environment. Agroecology, combined with One Health, provides tools that allow improving the health of the environment, the animals (being them wild or domestic), and, at the end of the chain, the people”.